March 2015 - An Opportunity to Celebrate Life! I keep trying to come up with a post to pay a tribute to my dad, Biking John Clarke. However, the words aren’t coming. Maybe because, in many ways over the past two years, I have been doing a variety of closing story lines and those probably speak best of our relationship. However, what is coming up for me more is how my father’s passing seems to be shining a light on just how different each member of a family loves, laughs, grieves, and moves through this process. 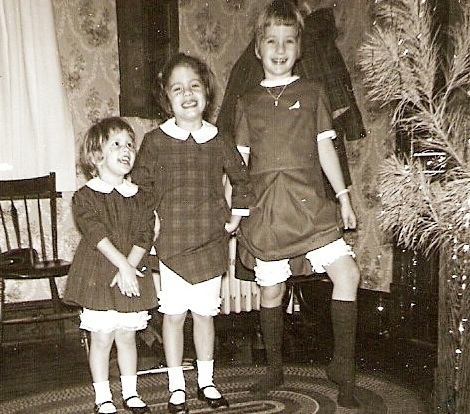 I have two older sisters: Penny and Melissa. Each of us has a unique story and experience of my dad. If you just listened to how we each saw and interpreted some of the events of our lives, you might wonder if we had grown up under the same roof. You may even wonder if we were more fractured than fabric. This weekend we’ll each be a part of a memorial service my mother, Bernie Clarke, is creating to honor his life. In many ways, the pieces that each of us are choosing to share, speak volumes to our unique stories and relationship we had with Dad. For me, I will be pulling together pictures and music. No words. It’s been the best way for me to understand, and connect, with my father. I pulled together a movie for his 90th birthday and it was an amazing project. Virginia was my dad’s home from childhood, through rising his family, to being a school principal. So my cousin, Trip Clarke , who still lives back in Virginia, partnered with me and went to various places to video pieces from the many layers of my father’s life there. I learned a great deal about my father by listening to messages from extended family, friends, and his various biking groups. This time it has been different. Just me and photos. Still I get to see the many stories and layers of his life, giving my own story much more breath, depth, and meaning. 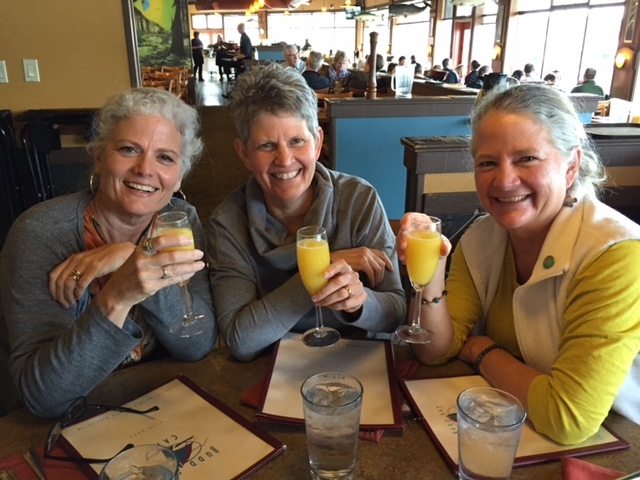 My oldest sister, Penny wrote a beautiful piece about the past couple of years, as she walked right along side Mom and Dad, as he was facing death and engaged in what he referred to as “hostage” care (Otherwise known as hospice care.). I do believe Penny had a special bond with my father, which comes through in her writing. It also sheds a light on each of them, and just how important family is and has been in their lives. I originally thought her piece would be the final chapter for the next printing of my dad’s book, Sailing Thru. However, I understand Penny herself will be using it in a book of her own. It underscores just how important stories are to Clarke family fabric. Finally, Melissa, my next oldest sister, will be playing the piano. Another wonderful way to share a story without the words, but with all the raw emotion and feeling. Which so fits Melissa. One of my favorite stories written by my father was one that he wrote about Melissa teaching (or trying to teach) him to play the piano. The piece spoke of her gifts when it came to music. It also highlighted their shared connection through teaching. The story speaks so well of their dynamics: that desire on each of their parts to play well together, and the challenges in doing so. Melissa’s musical story is real and raw. All of the chords and emotions are played and speak just as strongly to the rich fabric of this family. I can in many ways feel oddly out of place in my own relationship to my dad. But it is through my sisters that I see and hear the different heart beats, like threads, that my family has weaved into our family tapestry. I also hear it in the words and stories of his grandchildren. Each of whom speaks of the love and connection they experienced with him in very different ways. Suddenly, what has seemed fractured, is more like a fractal. Still, I may sit a little further outside the inner circle of my family, but the one note that plays through it all, and brings me much closer, comes when I am riding my bike. Whether I ride here, in the beauty of Montana, or as I will be this Sunday on my dad’s memorial day, riding his trike to an early breakfast with family and friends, that is where I connect to him. There is where I know: We are family, and the fabric, and fractal is quite strong! I have all my sisters and me! !